Living... in an apartment with her best friend Peyton in Seattle, Washington. They’ve known each other since college, when they were both sorority sisters at Mu Theta Zeta. Since then, they’ve moved together into an apartment you wish you had. Profession... Assistant Medical Examiner. Liv used to be an overachieving medical resident but turning into a zombie kind of put an end to that. Instead, Liv takes a job at the coroner’s office so she can feed her hunger for brains in a relatively safe way by secretly snacking on the brains of corpses there. Interests... amassing a hot sauce collection and solving crimes. Apparently, turning into a zombie makes your taste buds mostly undead too, so Liv can only taste things if they’re doused in hot sauce. 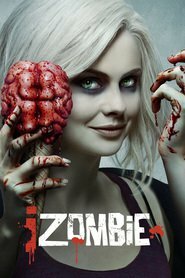 Eating brains also causes Liv to temporarily absorb some of the memories and personality traits of the person whose brain she eats. Now she uses these “perks” to pose as a psychic and help Detective Clive Babineaux solve murders. Relationship Status... unhappily single. She was engaged to Major Lilywhite, a social worker so dreamy and seemingly perfect it would be hard for anyone not to fall a little in love with him. But after the freaky boat party that turned her into a zombie, Liv breaks their engagement because she’s afraid of accidentally turning him into a zombie, too. Now, they’re trying to remain friends, which is... awkward. Liv Moore's popularity ranking on CharacTour is #369 out of 5,000+ characters. See our top-ranked characters and read their profiles.